It´s the little tube that could! Rumor has it we are talking about 2mm titanium plates, platinum wire etc. 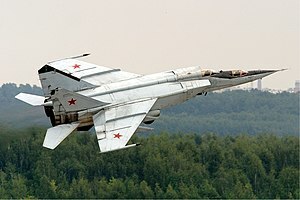 It´s most famous use is in a radar pulse scan preamp in MIG 25. No larger than a an ordinary 12AT7 it is all you need for a very reductionist single ended triode amp. A potentiometer, grid stopper, the 6S45P and a output transformer are all that is between you and the signal. Torbens HIFI in Denmark has the specifications. Take a look at Carstens amp the single ended 6s45p. And here the Thai Audio people are at is as well. They also have a nice description of the circuit. A very comprehensive site of 6s45P circuits by Stefano Perugini. Stefano Perugini has a Pspice model and suggested PCB layout as well. Diy Audio Guide has a schematic with a few embelishments. But is this the simplest? One tube, with one triode to do it all is pretty cool, but we still need a transformer with a secondary winding for heaters. wouldn’t it be cool to get rid of that heater winding? The only down side is that this tube is not a triode, it is a pentode. You might be able to triode strap it but you still need a few extra solder points. For now I will focus on building the 6S45P, but in the future I´d love to try this one as well. Follow TAO as he messes around with tube amps, speakers, etc.